Many people wrongly assume that the usual sawdust from wood represent a waste material. In fact, sawdust can on the farm to good use more than once. Such areas for the application of sawdust, there are several, and they will serve at their summer cottage, and in the construction of or repairs or even for children. Use wood sawdust in gardening and horticulture for mulching of the soil, for example, under the currant bushes and the raspberries and currants. To do this, take rotted sawdust, if there are none, then prepare the fresh (if you don't, the sawdust will take nitrogen from the soil). Lay plastic wrap large size, pour on it 3 buckets of sawdust and 200 g of urea, and then from a watering can pour on the sawdust 10 l of water and repeat this several times. After that, wrap it all in foil, and press down the edges with stones. Two weeks later, can the resulting rotted sawdust to mulch the garden. Best do it in early summer when actively evaporates moisture from the soil. If the layer for mulching will be too large, then in the autumn or in late summer loosen the soil. Spread sawdust with a thin layer on the beds with strawberries, it will not allow the berries to touch the ground and protect them from Botrytis. In this case, if will make the sawdust in the fall, they will be able to protect strawberries from winter frosts. To do this, use fresh sawdust from softwood treated with urea. Can use sawdust in construction: the plaster walls in the garden house. For solution preparation prepare the cement, clay, sawdust and newsprint. First well mix the cement and sawdust, then add the clay and paper pulp. Stirring, add water to obtain a viscous homogeneous mass. On the wall, pre-coated with dice, pounce the plaster, and then immediately smooth a special grater. The thickness of this coating should be approximately 2 see the plaster dries up to 2 weeks, do not forget to constantly ventilate the room. The plaster is only suitable for interior work, the walls are quite warm with a porous surface. Use sawdust in the children's creativity: use the cardboard figure with a simple plot. Then the drawing color. After that, choose the right color gouache, ink or watercolour paint. Dilute the paint in water and cover for 15-20 minutes sawdust for coloring directly into the solution. Then dry the sawdustto lay them on paper or on fabric, stirring from time to time. When the sawdust dries, place them in envelopes by color. Apply glue to a small section of the pattern, pour a layer of sawdust of the right color and slightly press down. Those filingsthat are not stuck to, shake off. In gardening and horticulture pine sawdust have a wide range of applications: they are added to the compost used as a mulch composition or just strew their paths. The use of sawdust as a fertilizer can significantly improve soil characteristics. The main reason for the popularity of sawdust as fertilizer - their relative cheapness, especially in comparison with expensive chemicals or manure. There are several basic methods of application of sawdust in crop production as a means to improve the structure and fertility of the soil. Add sawdust to the soil helps to make it more friable so as to improve its hygroscopicity and the ability to absorb moisture, and also increases the oxygen content in the fertile layer. The most effective is the addition of sawdust into the soil in the autumn. Sawdust you need to sprinkle a thin uniform layer just before digging the garden. Also sawdust are used for mulch layer in the raspberry or on migratory paths, where they eventually evenly spread through the soil. Soil fertilizer in the cultivation of vegetable crops is often associated with the risk of damaging the root system of plants. To avoid increased concentration of nitrogen containing fertilizers can be spread with sawdust. When soil application of urea, it is diluted with water in ratio of 1:12 and in the resulting solution soaked sawdust in one week. Chemical fertilizers spread in exactly the same way. Before fertilizer bird droppings should be soaked with water and mix with sawdust until a homogeneous dense mass. With sawdust spread fertilizer in a ring around the base of the stem of the plant. In the periodic watering of the sawdust will gradually give nutrients to the soil, which also helps to save fertilizers and to reduce the frequency of feeding their vegetable crops. 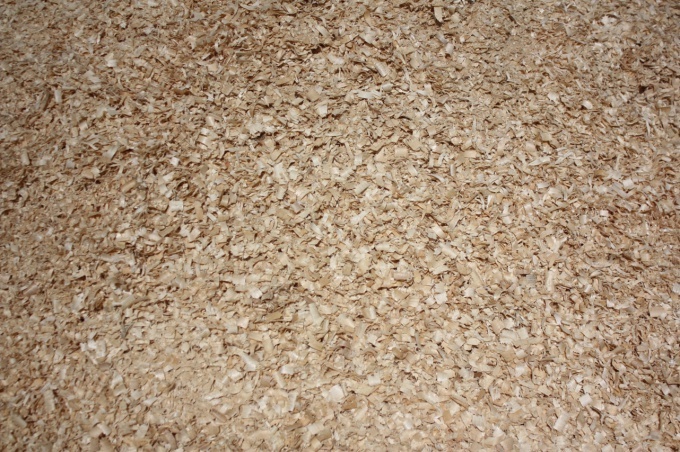 Sawdust can be used as a Supplement to beregnoy. Fresh sawdust in a compost pit should not make, much better to give them a weathered and fed with moisture. To do this, the sawdust is Packed in burlap and left under open sky for long time. The supply of sawdust in the bags may remain for several years, their beneficial properties will not diminish. 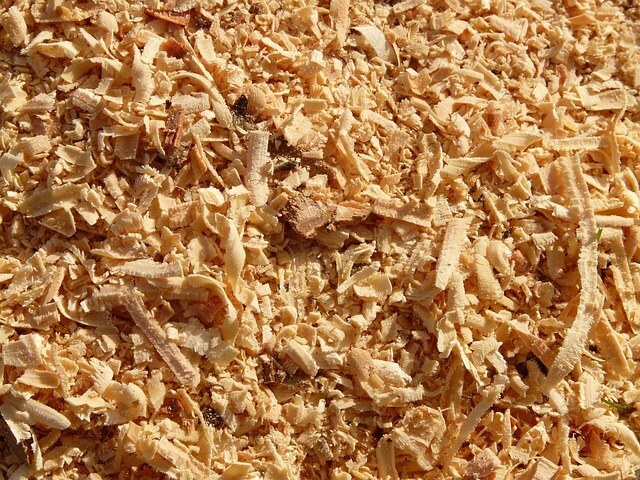 Make sawdust in a compost pit usually in the fall, after the complete or partial purification. Themselves pine shavings do not contain a large number of nutrients, but the composition of the humus they are well drained with topsoil and make the fertilizer more evenly. Most gardeners have a concept about the benefits of natural fertilizers. The most commonly used manure, but not always it will be expensive. In some places, such a fertilizer is simply impractical. At the same time, not everyone knows about the use of sawdust, which is a valuable organic fertilizer and with the right use provides good results. 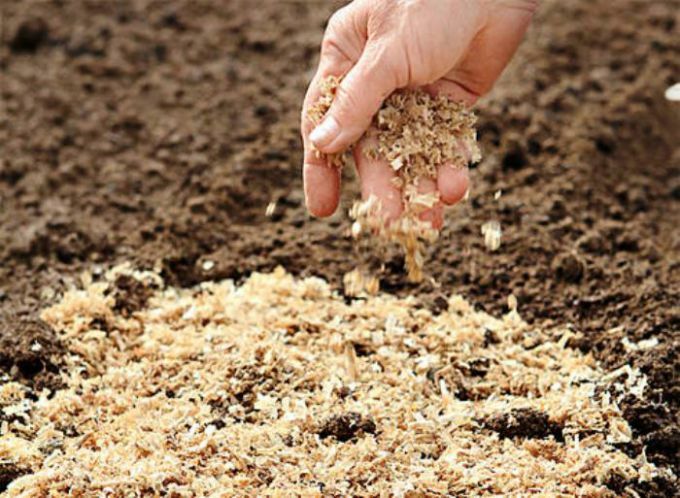 Sawdust can be put in the compost, to apply for the formation of ridges, used as a mulch material, and just sprinkle the paths between the ridges, so that the grass would not grow in them. They are used in the cultivation of seedlings and used as substrate for potatoes and seeds. It is only important to handle them – then we will be able to significantly increase the yield. Soil with a lot of disintegrating organic matter, e.g. sawdust, have good permeability and an excellent ability to absorb moisture. On these lands productivity is higher, they do not form harmful for the growth of plants peel, so loosening them is required less often. To use as fertilizers have rotted sawdust – they, in contrast to the fresh, have a brown color of varying intensity. The process of perepravnaya not especially fast: it can take 10 years or longer. To speed up should ensure the availability of organic matter and water. To do this, add a little sawdust in the compost pile, or ridge of the greenhouse, which a lot of fresh manure. If sawdust is used for fertilizer in large quantities, the soil generally requires additional lime, as it may unnecessarily zakislate. Part of the resulting perepravnaya fertilizer better to put in the compost. For example, to mix sawdust with poultry manure and manure and allow to Mature during the year. This mixture should be moistened from time to time to cover with something to prevent leaching of nutrients. Added to compost grass cuttings, dead leaves and hay, and waste from the kitchen. To speed up the process of rotting sawdust before putting in the compost is well moistened. Useful for cubic meter of sawdust to pour 2-3 buckets of earth. This compost is a good medium for the growth of microorganisms and earthworms, which accelerates the pregnany. Sawdust, which lasted about weeds, abandoned areas, also needs to be composted. Well a lot heat to prevent germination of weeds. For this sawdust is poured very hot water, and then quickly shielding plastic film.